Alessi Cargo. Though based in Switzerland and fully steeped in those aesthetics, Big Game also chose to reference Japan with the CARGO catchall inspired by traditional Japanese wooden carrying boxes. 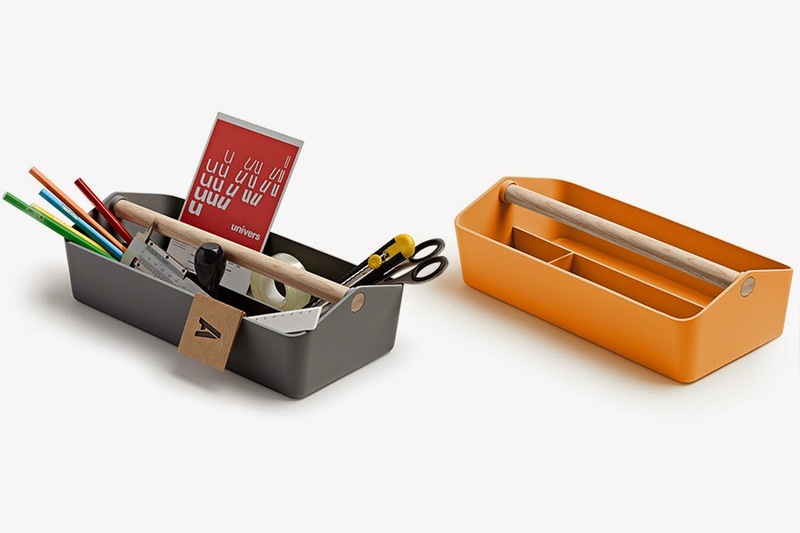 Alessi Cargo Box by Big Game. 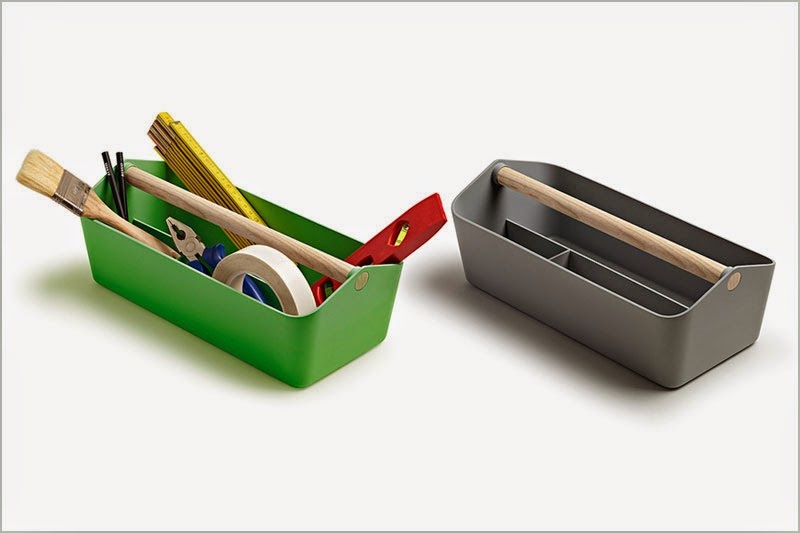 The Cargo Box tool and desk organizer was designed by Swiss design team "Big-Game" and is made by Alessi in Italy. The perfect fusion of function with form, Cargo by Alessi provides a stylish way to organize your desktop space. 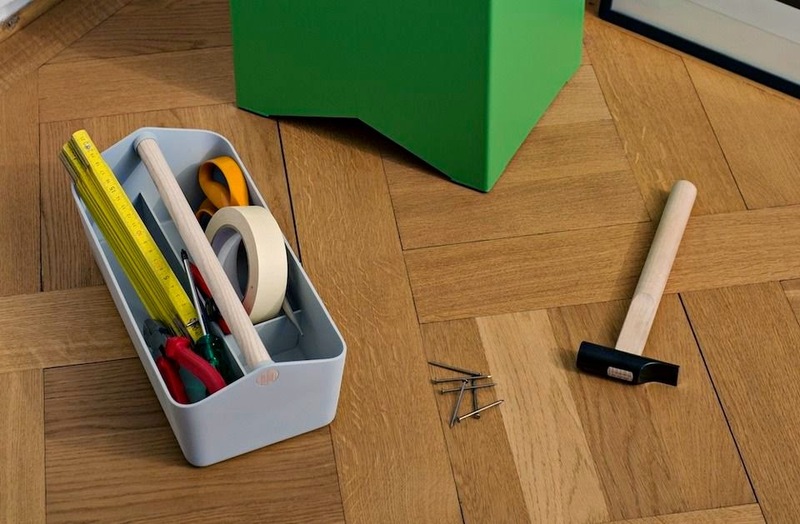 The handles are made with a light, smooth ash-wood anchored by stylish-colored plastic with three simple compartments.